First of all, I refuse to add “The Animation”. It would be like calling the Yugioh GX manga “The manga” since it’s a lot different than the anime. I don’t get the logic and I would sooner eat Spagetti with Cheese! (Actually tastes really good) That being said, I should get back on topic. With an anime that deals with Kaiju and Demons, you can bet that there is a lot to talk about. This is probably the first anime that I’ve watched that was basically an apocalyptic story about the end of the world. I can’t really think of any others like it and it’s also the first big monster show that I’ve seen. (Pokemon and Digimon don’t count because they are Magical Creatures and Digital Programs…….and because that’s a whole different genre in my humble opinion) The show was definitely a success, so let’s see why! All right, first I should break the bad news. It’s….only 13 episodes!!!!!!! Don’t reach for the power switch yet and jump on the One Piece bandwagon folks! It may only be 13 episodes, but the series is still pretty exciting and cool. I know that it may be hard to believe, but we get a lot of battles in these 13 episodes. 13 episodes may be the ultimate slap in the face for the people who grew up only watching Naruto, One Piece, Pokemon, and Pretty Cure, but 13 episodes can still handle a lot. I’d probably faint if they announced a 13 episode series for something like Medaka Box or Gamaran, but it’s okay when you don’t need to adapt something extremely large. That being said, the whole 13 episodes fad is tricky. 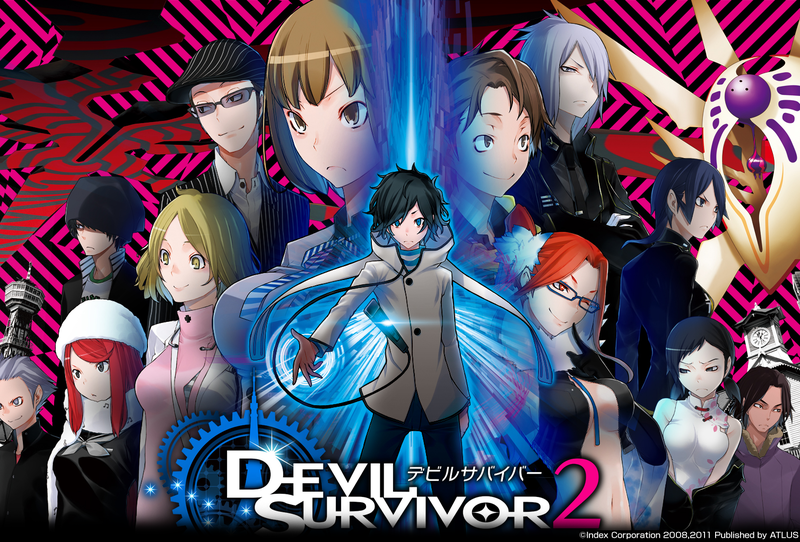 Devil Survivor 2 made the most out of it since just about every cliffhanger was very epic and awesome. A 13 episode series should always feel very fast paced since they don’t have that much time. Short series have an advantage since it’s easier for people to just sit down and watch them since it won’t be a long commitment like Bleach, but it also means that we won’t get to see the characters that often. If Index or Medaka Box had just continued instead of constantly stopping for sequels, they would have adapted everything by now. We need more super long shows in the world. In the end, I think that 13 episode series as only good when you know that you can adapt everything in one shot. I don’t want to see a sequel being announced afterwards because they only adapted one arc. For that, just continue all the way through to the end. The plot of the show is fairly simple, but also intense. See, Hibiki is a kid who has always led a fun life. His friend shows him a website where you get to watch your best friend die. The site will only send you a clip when the person is about to die so that you can have some advance warning and emotionally prepare yourself. They head into a train station and they both get a message that the other person will die. Hibiki quickly decides to run back above ground, but it’s too late and he gets hit by the train. Norman humans can’t tank such a blow and they both start to die. Luckily, in a similar fashion as Pat’s revival thanks to Gemini Spark, they get a message asking if they want to live. It’s a tough call, but they both go for life and are revived. Unfortunately, it’s still dark in the subway station and the people around are still dead. Hibiki and his friend (Daichi) notice a classmate of theirs and she’s the only other person who lived. Her name is is Lo Nitta and the three of them decide to leave and figure out what’s happening. The only problem is that the people who died forgot to close their phones and now demons are coming out of them! Hibiki will have to unleash his true powers if he wants to stop them! That’s the plot in a nutshell, but there’s always something else right? A shady organization known as JP’s has known about this for years and they are ready. The only problem is that they don’t care about casualties and they don’t mind sacrificing a few billion people for the “greater good” The unfortunate part is that the other organization is really just a few guys with demons who can’t really fight. 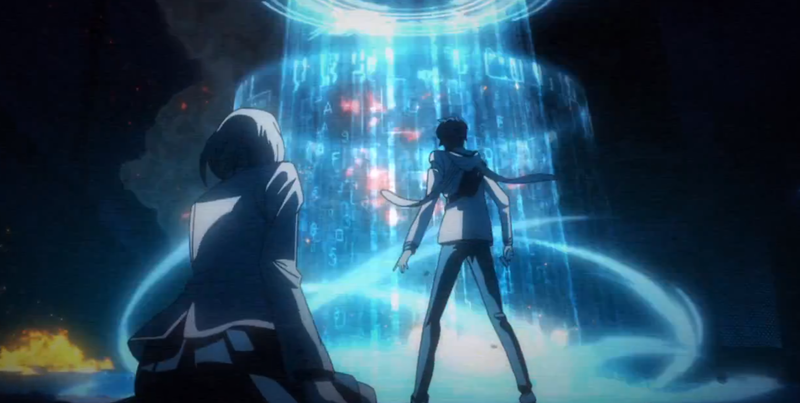 Both groups have their pros and cons, so Hibiki must decide who he will help. Then a bright idea comes…why should he have to join either group? You’ll want to find out what he decides! Also, the demons can be intelligent and they may not let everything go according to plan. Hibiki is the main character of the series and he’s definitely a big change from your average hero. His design can be a little off putting at first and he looks more like a support character than a main one. 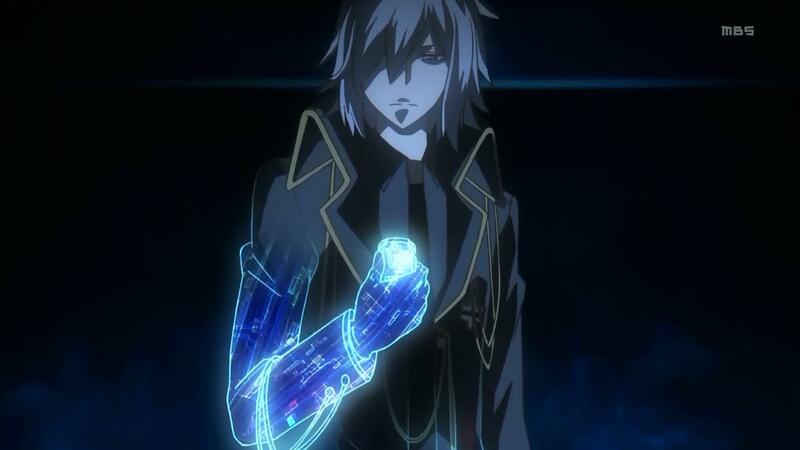 His design reminds me of Lelouch. His personality is still solid, but he’s not the best lead for an anime. He has a lot of “rage” moments and they’re pretty well deserved. The only problem is the fact that he usually doesn’t seem to do anything about them and he actually makes a lot of the same mistakes as Eren Yeager. They both tend to stand back and let the “higher ups” make the decisions even when they know that the decisions aren’t very sound. To put a perspective on this, Yamato (Who will be discussed later on) and the JP’s group decide that the best way to save the world is to murder Hibiki’s friend. (Lo) Hibiki doesn’t like this and he moves in to help, but let’s just say that he should have left sooner. Hibiki manages to pull himself together after the incident and yells at Yamato a bit, but Yamato quickly defeats him in the verbal fight and leaves…after vowing that he’ll destroy Hibiki. Hibiki doesn’t take the news too well and he’s knocked out before you know it. Not exactly the response that someone like Ichigo would have had. Hibiki is still a good character and he can be compared to guys like Syaoran and Ichigo, but he just doesn’t manage to be as cool as them. Granted, he only gets 13 episodes to show what he’s made of, but he could have been better. I’d give him a 7/10 if I actually graded characters and he’s still someone that you can root for. He has two demons for the majority of the series. A Phoenix and a Thunder beast. They’re both pretty powerful, although I found the Phoenix to be a little more impressive. Hibiki can also fight on his own and comes equipped with the usual main character powers. Energy blasts, Super Speed, Flight, Barriers, Super Durability, etc. Lo is one of the main characters and the train crash definitely changed her life! She is a solid character, but she can definitely be a little too nice for her own good. When the government approached her with a plan that will involve destroying her, she should not have accepted. That being said, she did it so that she could help her friends, but was it the right move? I don’t think so. It’s more of a negative for Hibiki, (Since he should have stopped it before things got dicey!) but some of the blame can be placed on her. It’s doesn’t affect her in a negative way since it shows that she’s definitely a true hero, but she just made a wrong call. She may not be as powerful as Hibiki or Yamato, but she can definitely hold her own in a fight and she’s one of the toughest characters in the series. Daichi is Hibiki’s best friend from childhood and the two are pretty close. Daichi prefers to live life on a day to day basis and he doesn’t give much thought to the future. While Hibiki is always worrying about how he’ll protect Daichi and Lo, Daichi also wants to protect Hibiki. He desperately tries to fight the demons and help Hibiki throughout the series, but the results are usually tragic. His heart’s in the right place, but he was dealt a bad hand. His demons are far too weak to help anyone and that’s his big problem. He’s still a character that you can root for, but you’ve also got to feel bad for him at times. At least he manages to give it his all! Yamato is the big rival/big villain of the series. He’s as ruthless as they come and no sacrifice is too great for him if it means that he can achieve his goal. His goal is incredibly ambitious and it’s something far tougher to achieve than simply ruling the world. Luckily, Polaris can grant any wish so nothing is too tough anymore. That being said, many people try to get him to warm up to people, but he doesn’t give an inch. He has been training for the demon invasion for many years and he actually does not need a phone to summon his main demon as they have been partners since he was a kid. He is the most advanced in how to use the phone demons and he can also fight on his own like Hibiki. Unlike Hibiki, he has tremendous experience in hand to hand combat and he has all of the powers that Hibiki does, but arguably he is stronger in each of them. This guy definitely can’t be considered as a hero, no matter what his end goal is. I consider him to be a villain, but one who means well and isn’t downright evil like the average villain. Yamato is the best character in the series and I can say that without question. His demon, Baal, is extremely cool and he has some other big hitters. His main monster is Cerberus and he’s as tough as he sounds. Alcor is a mysterious figure who is around for a large portion of the series, but we don’t find out too much about him until we start to near the end of the series. He seems to know more than he lets on and his power is considerable. Without much effort, his subordinate was able to take out the entire rebellion. He is intrigued by humanity and he wishes to observe the 7 days of Tribulation. It’s similar to how Bass observed the battle with Lazerman and Shademan. Alcor is a pretty likable character and I gained a lot of respect for him during the final episodes. That being said, I was always a fan of the character. He just struck me as an interesting character. The main characters were definitely a little too mean to him at times, but they still got along in the end. Keita is one of the demon wielders, but he doesn’t get to appear that much. He seems to have some decent acting ability and can be found on TV, but his fighting abilities are only okay. He’s very sure of himself, but this just ends up leading to crushing defeats. He was out of his league in this war and he’s not a very likable character. He’s basically a one dimensional rival and I like to think that he was about to get some character development, but it would be rather hard to prove. His monster is a humanoid who uses his weapon to smash people. It’s not a bad strategy…but not the greatest one either! Hinako is not really Keita’s partner, but they do work together at times. Her demon, which is useful…but not extremely so. Flying is definitely great since it can compliment someone’s fighting style, but the demon can’t really fight so it’s moot. She’s a decent character, but like Keita..there’s just not much reason to root for her. She gives motivational speeches and tries to help others, but in the end…she should have just worried about her own fighting skills. Jungo is a quiet person who doesn’t really talk that much. He has a cat demon that has some pretty powerful explosions, but it ultimately not very powerful. He’s a very skilled cook and he usually teams up with Airi on missions. He didn’t get much character, but in his case it seems to be intentional. He’s pretty dependable and fights to the end, but he’s still not a superb character. He does beat most of the other side characters. Joe is easily the worst character in the series and he nearly brought the show down. He definitely brought the show into the hole known as fanservice, but he was luckily written out before that could happen. Still, he’s basically a filler character who shouldn’t be trusted and just isn’t cool. He’s also very weak and never really gets a fight for the entire series. He was likely just here so that we would have a hero to dislike and it did work. This is one guy that you’ll want to see go up against some powerful demons! Makoto works for JP’s and she’s one of the higher ranked members. She gets her own backstory and will basically comply with whatever Yamato asks for. It’s one of those cases where she works for an evil person, but she still looks up to him and makes the bad calls. She was a nice person, but she puts the group first and ultimately that makes her no less responsible than Yamato for many of the situations. She was also the one who approached Lo with the suicide mission. In the end, that prevented her from being a likable character and she’s just another villain. Fumi is a scientist and she starts out as an antagonistic character, but there are circumstances involved. From there, she becomes more of a main character and she always seems a little strange. That being said, she’s still the smartest character in the group when it comes to technology and she helps them out a lot with barriers. (Although, it’s ultimately futile to make barriers against universe busting demons) That being said, she’s another person who doesn’t mind sacrifices for the greater good and she continues to serve the corrupted organization known as JP’s. The Animation for the show is quite good. It’s not overly impressive and considering that it’s 2013, it could probably be better. That being said, after a while, graphics don’t need to continue to get better and better. This show looks really good and that’s the bottom line. It may not stack up against Index or Bleach, but there are still many shows that is does defeat. Most of the series takes place in the dead of light so we get a lot of contrast between the dark setting and the bright energy blasts. 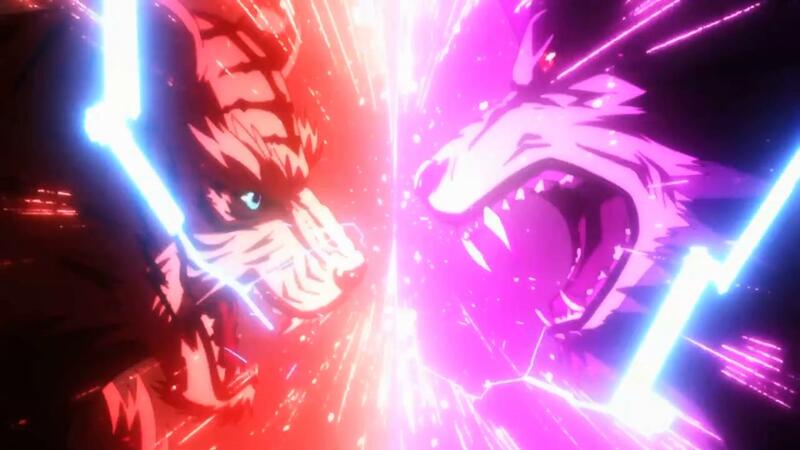 The animation definitely rises to its peak during the final few episodes as the battles get more and more intense. 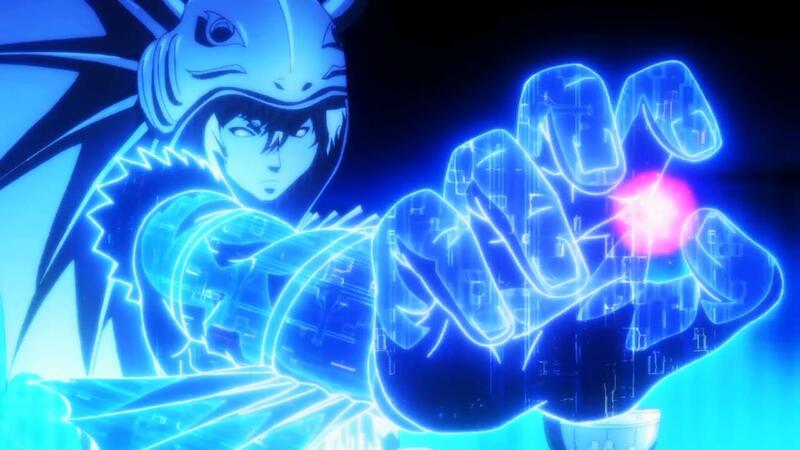 The highlight of their animation was definitely in the effects as the blasts really stood out. As I mentioned earlier, this is really my first horror/thriller anime. It also has some slasher elements in that you can expect most of the cast to be knocked off. Since it’s 13 episodes and the threat is real, you can imagine how fast they begin to be taken down. To put this into perspective, from the 13 main Demon Wielders (Including the main character), at least 11 of them will perish by the end. That’s a pretty big number and you can probably tell that the anime won’t be all fun and games forever. It’s surprisingly not that dark, (Animation aside) but it’s definitely not as upbeat as something like Naruto. Part of what keeps it light is the fact that there’s always hope since the survivors just need to last the 7 days. There still is a constant sense of dread since the human race is basically becoming extinct, but this happens in a good way. The heroes have to question whether it’s worth it to keep on fighting since most of the world has been incinerated anyway. The show also manages not to fall into any holes. I can actually say that there are no real flaws to the show. Sure, some characters could be cooler and things can always be improved, but there is nothing really negative about it. There’s no fanservice (Will wonders never cease!) in the entire show and no unneeded animal violence. The creatures are mostly humanoid or look like objects and the ones that do look like animals tend to lost in unviolent ways. I got worried in one scene where one of their arms was bit, but the scene cut away and it appears that the bite was unsuccessful because he looks okay in the next scene. I was surprised that the show was so classy and it reminds me that there’s still hope for anime. After the abomination that was Space Dandy, I thought that things could be going downhill fast! The Kaiju/Demons (In the first episode, the villain is called a Kaiju by the general public and I tend to believe those guys. Still, they are all demons, but we always did need a demon kaiju!) are pretty cool. I don’t really care for the 7 Septentriones that much because they look more like objects than creatures, but they’re still tough. One of them was said to be able to consume the universe itself! That’s a pretty solid feat and he’s nearly unstoppable. It brings up the a little plot hax for the final member of the Septentriones since he should have been even stronger and they acted like he was, but he put up less of a fight. Maybe he forgot how to use that ability since he had so many of them to choose from. The designs for the demons can be decently good, but none of them stand out that much as being incredibly awesome. Baal was really cool and definitely my favorite from the bunch. Others that were cool were Hibiki’s two demons, all of Yamato’s, Lorelei, Lugh, and Satan. Satan is probably the most monsterish as far as the monsters go. There aren’t a whole lot of them in the series, but there are only 13 episodes after all. They definitely made for solid fight scenes! The Soundtrack for the show is pretty good and it definitely gives the anime a horror vibe. That being said, it is pretty varied and accompanies the scenes pretty well. We have some fast paced techno music that is used for the fights and there’s also a great opera music theme that plays when the demons are first summoned. The show’s ending theme is also great and it makes for some really good music during the cliffhangers. It reminds you that the world is ending and that the heroes may not be able to win this time. The opening is all right and grew on me a little, but while the music is decent, the images are really lazy. The opening just shows them all and then shows them all again. The last bit is just clips from the show run at really high speeds. That is Not how you make an opening. Still, the soundtrack is solid overall. I just need to mention one big missed opportunity that I was a little sad about. In Hibiki and Yamato’s inevitable clash, they didn’t actually get to fight. I wanted to see them pit their super powers against each other and see who was truly stronger. We got to see them both fight against other opponents, but never against each other. When their fight finally did come, only their monsters got to fight. I felt like I got a little cheated out of my epic fight. It would have been the best fight in the show and it definitely would have felt like I was back in DBZ world. Ah well, maybe in a sequel if we get one someday….maybe.